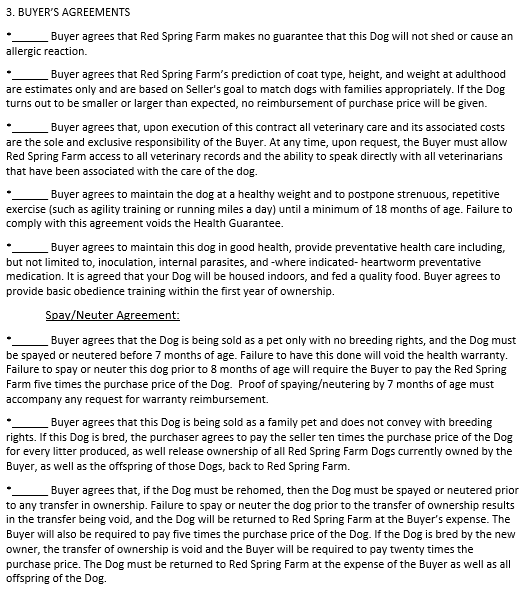 Our pet contract is very in-depth and extensive. 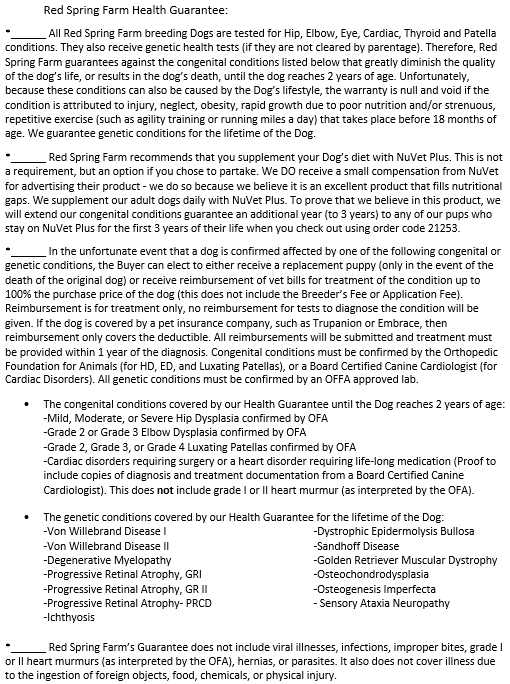 This is not meant to confuse you or capture you, it is for the safety of our puppies to insure that they are never used for breeding purposes, neglected, put in a shelter or laboratory, or re-homed to a household where care of the dog is inadequate. 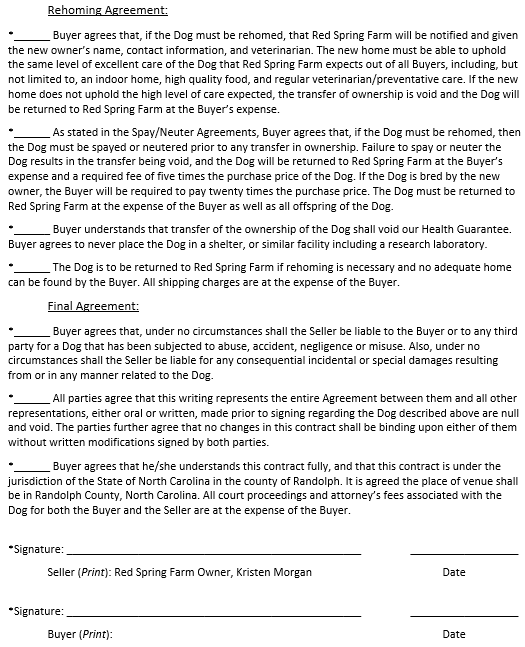 We are VERY willing to lawfully enforce this contract should the need ever arise, so please only purchase from us if you plan to be a responsible pet owner. 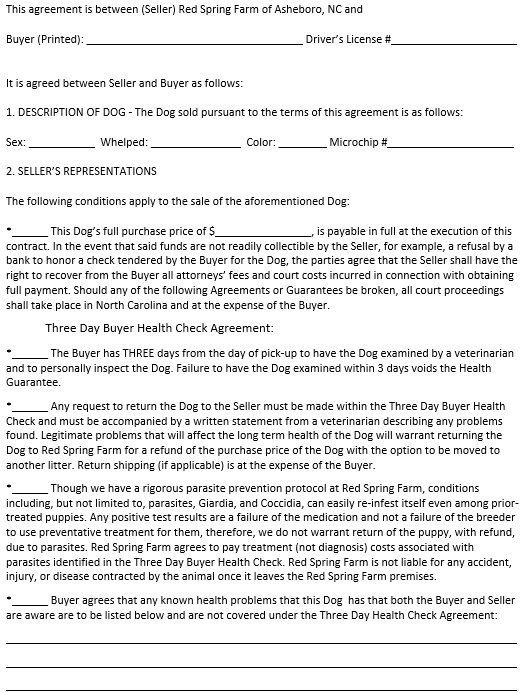 If you have any questions or concerns regarding our Puppy Purchase Contract, please contact us.